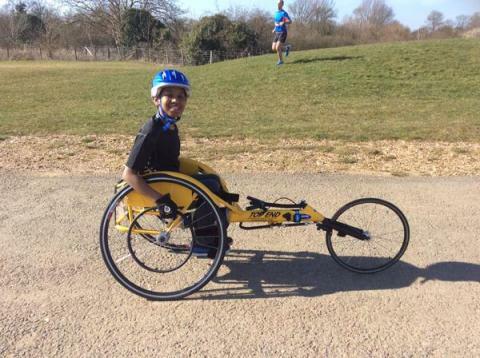 Brave young Malachi is taking on the Mini London Marathon 2015, racing in his chair to help raise funds for the operation he needs to be able to walk! Malachi has cerebral palsy spastic diplegia and is unable to stand independently and cannot walk without the aid of a walking frame or tripod sticks. His condition causes the muscles in his legs to be very tight, which is known as spasticity. Malachi’s only wish is to walk and he needs help to achieve this dream.